Dive into innovative healing techniques with Maui healing sessions offered through Healing Waters Sanctuary. Andy Marcus combines over 17 years of experience with modalities that are inclusive of breathwork, Aquatic Therapies and Biodynamic Craniosacral Therapy. These combined techniques allow you to work into a deeper sense of peace and relaxation while moving through deep connections of healing trauma that supports the process of healing mind, body and spirit. The Maui healing sessions at Healing Waters Sanctuary is inclusive of various healing modalities to assist with complete transformation. Andy Marcus has extensive training and practice in Biodynamic Craniosacral Therapy to assist with healing and relaxation. This is combined with the water work of Craniosacral Aquatica, which combines the land therapy with working with the water for release of trauma, movement into well - being and the ability to reach a deep sense of peace and relaxation with all Maui healing sessions. If you want to open into a new and exploratory space that moves you into complete awareness with meditation, then Biodynamic Craniosacral Aquatic Therapies can guide you on your journey with Maui healing sessions. Andy incorporates the use of water, breath, the perceptions of Biodynamic Craniosacral Therapy (orientation to health, stillness, fluid body and neutral, open space) bringing a sensation of floating in an empty trance-like consciousness that offers a deep connection to peace and love. Experience a deeper relaxation and melting into oneness. Move into a state of deepened awareness free of the usual chattering mind. *All approaches used are non-denominational and are open to individual experiences and needs. 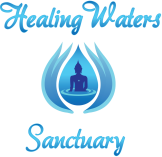 Enter into a state of natural wholeness in mind, body and spirit through the work of Healing Waters Sanctuary and with all Maui healing sessions. The session combines movement and stillness as well as approaches used in Biodynamic Craniosacral and Aquatic Therapies while in the water. Experience the melting of chronic pain and the settling and re-education of the nervous system. If you have experienced past traumas or are moving through blocks and fears that don't allow you to live your full potential, then you can use Biodynamic Craniosacral Aquatic therapies to quickly and easily remove the traumatic imprints that hold you a prisoner of that experience. Any type of abuse or trauma can easily be released without difficulty or pain. The trusting environment that is created helps one to gently release traumas without overwhelming or re-traumatizing one’s system. The natural, gentle nourishment of the water supports this environment. Types of trauma typically released are traumas around the water, those from birth experiences, being in the womb, betrayed trust, sexually–related traumas and the lack of male nurturing. The approaches used with Maui healing sessions and by Healing Waters Sanctuary allows you to tap into a fluidic method to let go of any form of pain while beginning to alter and clear any form of trauma, fear or block that you have been experiencing in your life. This is done with a gentle ease, using the water as a guide. Pregnant women are able to move into a deeper sense of healing as well as preparation for birth. The work with Biodynamic Craniosacral and Aquatic Therapies naturally opens the body so women can begin to relax and prepare for birth. The work with pregnant women was inspired by Elena Tonetti and her work of Birth into Being, as well as the prenatal and perinatal work of Ray Castellino. The approach to opening the body combines the synergetic connection that occurs between the baby and mother. Through the Biodynamic Craniosacral Aquatica Therapies and Maui healing sessions, a deep communion often occurs between the mother and the child in the womb. You are not only able to make the communion with your child and receive a deep sense of healing through the Biodyanmic Craniosacral Aquatica Therapies and Maui healing sessions, but you are also prepared for your birth by moving through your own birth trauma. Once this preparation takes place, you can begin to relax and reach a prepared mental and spiritual state that will support and assist your pregnancy and delivery. Through this subtle yet profound work, the baby in the womb will lead the movement, creating a profoundly sacred space of reverence and silence.